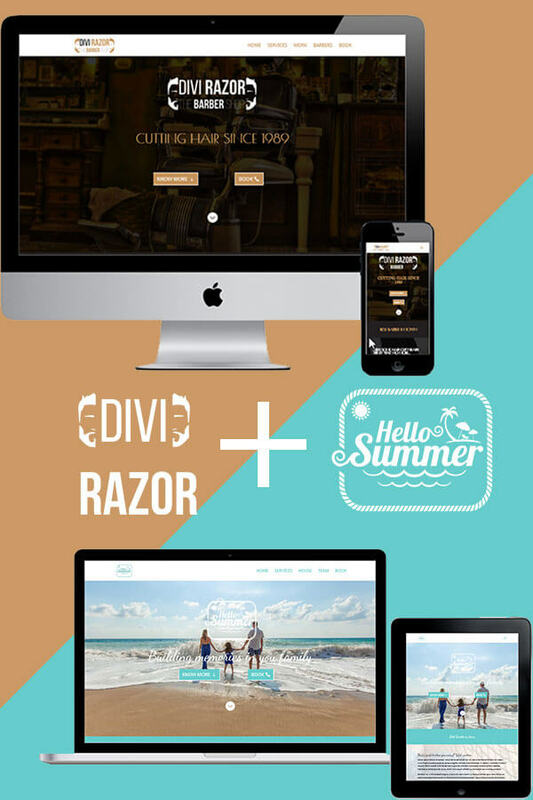 Divi Razor is a great layout to a one page site. Although it has a barbershop look it’s easily adapted to any kind of business just by changing images. Check out Hello Summer demo here, obtained only by changing the images, colors and small tweaks. It takes advantage of a parallax to uncover the big quality photos in desktop version. In mobile those are adjusted to make it full width. This version is completely plugin free, just Divi and 1 line of CSS to change the back to top button. * Note that the images used in both sites are for demo purposes and were found and adapted to this. We don’t own any of the copyrights.